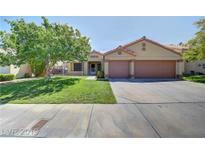 Below you can view all the homes for sale in the Carousel Park subdivision located in Las Vegas Nevada. Listings in Carousel Park are updated daily from data we receive from the Las Vegas multiple listing service. To learn more about any of these homes or to receive custom notifications when a new property is listed for sale in Carousel Park, give us a call at 702-323-5939. Low maintenance desert landscaping. Lowest price on the block. MLS#2086260. Simply Vegas. Located near shopping, dining and an easy in and out to the highway. MLS#2085801. Signature Real Estate Group. Just A Few Highlights To Mention , Fully Updated Restrooms , Updated Kitchen With Stainless Steel Appliance And Stunning Granite Counter Tops , Separate Custom Tub And Walk In Shower In Master Bath, No Hoa And Home Is Located Minutes To Shopping And Near By Amenities. MLS#2079137. United Realty Group. Full length covered patio partially converted to a utility room. Desert landscaping front and back. MLS#2078918. Evolve Realty. Features To Include: Freshly Painted Interior And Exterior Paint, New Flooring, Kitchen With New Granite Countertops, Backsplash, Separate Family Room With Fireplace, Vaulted Ceilings , Master Suite With Walk In Closet, Nice Sized Bedrooms, Backyard With Covered Patio, Desert Landscaping, Epoxy Flooring In Garage, New Fixtures, New Faucets, New Blinds, New Sinks. MLS#2060099. Brazill Team Real Estate. Pool Homes Are Lottery Tickets Dont Miss This MLS#2056067. Platinum R.E. Professionals. 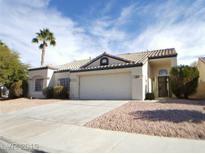 Great location to airport, parks and shopping and the LV Strip. MLS#2044204. BHHS Nevada Properties.